It's a wrap for the first schedule of Alia Bhatt and Vicky Kaushal's upcoming film Raazi. 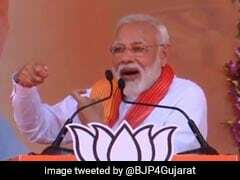 Karan Johar, who is the producer of the film, shared the update on Twitter. 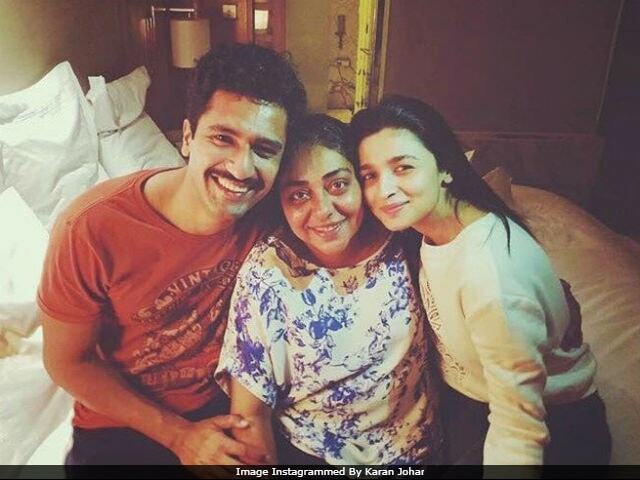 He posted a picture of Alia and Vicky with their director Meghna Gulzar and wrote, "Schedule wrap on Raazi." The film went on floors in July and the team was shooting the first schedule in Punjab. In Raazi, Alia features as a Kashmiri woman married to a Pakistani army officer, played by Vicky. Raazi is based on Harinder Sikka's novel Calling Sehmat. It will also be shot in Kashmir and Mumbai. Raazi releases in May next year. See the picture shared by Karan Johar. Meghna Gulzar, who has previously directed films like Filhaal and Talvar, also posted a picture after wrapping the schedule. Raazi is Alia Bhatt and Vicky Kaushal's first film together. Of co-starring with Alia, the Masaan actor earlier told news agency IANS, "Getting a chance to work with Alia Bhatt, inarguably one the finest actresses in our industry at the moment, is a big deal for me. I am really very excited to be a part of the film. She has worked wonderfully in her movies and brings something new with each film. She sets a new benchmark with her releases. I am sure I'll learn a lot from her and working with her will be fun." Apart from Raazi, Alia Bhatt has Gully Boy and Dragon in the pipeline while Vicky Kaushal will be next seen in the Sanjay Dutt biopic.